International citizens who wish to enter the United States are generally required to obtain a visa. For citizens of foreign countries who wish to study in the U.S., a student visa is mandatory. Whether you need to obtain an F1 or M1 visa depends on your course of study and the type of school you plan to attend. According to the U.S. Department of State, if you plan to attend a “vocational or other recognized nonacademic institution, other than a language training program,” you need an M1 visa. First, you must submit an application and receive acceptance from a school that's affiliated with the U.S. Department of Homeland Security's (DHS) Student and Exchange Visitor Program. The U.S. Department of State's (DOS) EducationUSA, a network of more than 400 international student advising centers in more than 170 countries, offers information on undergraduate and graduate programs. Another resource is the DHS Study in the States initiative, which includes a searchable database for SEVP-certified schools. Once you gain acceptance to a U.S. school, you will be enrolled in the Student and Exchange Visitor Information System, and you will be required to pay the SEVIS I-901 fee of $200. As part of this process, the U.S. school will give you a Form I-20 for your interview with a consular officer. Note: If your spouse and/or children plan to accompany you throughout your U.S. studies, they must fill out individual Form I-20s, but will not have to pay the SEVIS fee, according to the DOS. You must fill out the Online Nonimmigrant Visa Application Form DS-160, including a photo that conforms to these requirements, and schedule an interview if you are between 14-79 (an interview is “generally not required" for those under 14 and 80 or older). These steps must be completed in the order dictated by the U.S. Embassy or Consulate, where you intend to submit your application. For new F-1 and M-1 visa students, you can receive a visa up to 120 days before your schooling is scheduled to begin, but you may enter the U.S. no more than 30 days before your official first day. Visas for continuing students may be renewed at any time, provided you have kept your student status and have an up-to-date SEVIS record. If you are a continuing student, you may enter the U.S. at any point prior to the start of classes. To prepare for your study abroad experience, be sure to check out these "Challenges for International Students in the United States." If an interview is required, you should allow sufficient time for scheduling, as waiting times vary among embassies and consulates. You also may be required to pay a non-refundable visa application fee, which is determined by your nationality. Check with your embassy or consulate for details on fees. Note: Your embassy or consulate may also request transcripts, diplomas, degrees, proof of ability to pay for tuition, living and travel expenses, and other documentation. A consular officer will decide your eligibility for a student visa based on your submission of the necessary documents and forms. You will be asked to provide an ink-free, digital fingerprint, probably during your interview. Your application may also necessitate additional administrative processing, which will be determined by your consular officer. After receiving approval, you may pay for the visa issuance fee, if required, and will be told the process for the return of your passport with the visa. You can consult the processing time here. Students holding an F1 Visa also are likely to be eligible to work. The type of employment that is most likely to conform to visa restrictions consists of on-campus positions, which are defined as “work that takes place on campus or at an off-campus location that is affiliated with the school," according to Study in the States. You also may be able to work off-campus if you can prove “a qualifying economic hardship." Other commonly available work opportunities for F1-visa holders include curricular practical training, which can be started after one full year of studies, and optional practical training, such as a temporary internship. Interested in working while you're in the U.S.? Here are 4 ways you can work on a student visa! Most domestic health insurance plans will no longer cover you once you leave your home country. 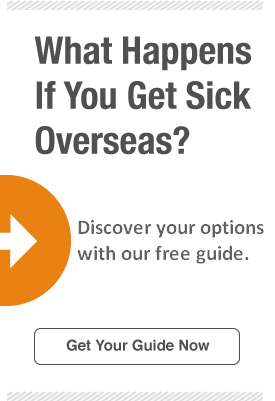 To cover unexpected illnesses and injuries incurred while inside the U.S., consider purchasing an international student health insurance plan like Tokio Marine HCC MIS Group's StudentSecure policy, which offers coverage for in-patient hospitalization, sports and athletic activities (maximum per injury varies among plans), and emergency medical evacuation, among other benefits. You may stay in the U.S. for up to 60 days after you finish your academic studies or optional practical training. You also have the option of extending your stay, provided you have complied with your F1 requirements and have not overstayed. U.S. Citizenship and Immigration Services recommend applying for a new visa at least 45 days before your F1 expires.